Of course the Lumia 430 isn't going to be a performance powerhouse at its price tag, but it does feature hardware that has been reserved for more pricey entry-level smartphones in the past. You get 1 GB of RAM and 8 GB of internal storage to complement the Snapdragon 200 SoC, as well as cameras on both the front and back. The cameras aren't going to be the greatest - the rear sensor is 2-megapixels and fixed focus, while the front camera is merely VGA - but you will be able to send the occasional selfie. There's also a 4.0-inch 800 x 480 LCD display, a 1,500 mAh removable battery, a microSD card slot, and support for HSPA networks on the 900 and 2100 MHz bands. Microsoft also says that the Lumia 430 will be updated to Windows 10 (from Windows Phone 8.1) when the OS is released this summer, which is great to see. Many budget Android devices in this price bracket never see updates, so Microsoft is certainly beating its rivals in this regard. 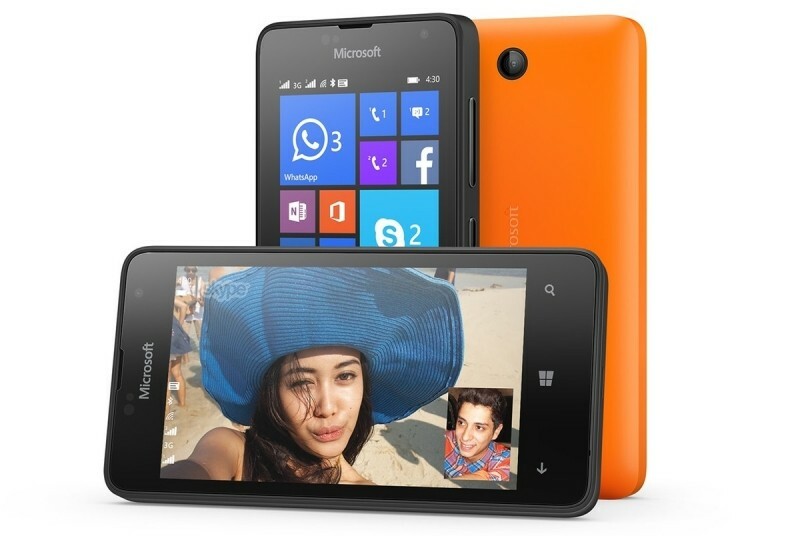 The dual-SIM Lumia 430 launches in several emerging markets, including India, Russia, Kazakhstan, Belarus, the Middle East, Africa, and parts of Asia Pacific, this April. For $70 that's a steal! In the Philippines, cherrymobile flare s3 priced around 3,999php (1 USD = 44.873 PHP, ~89.12$) with 8gb internal storage, quad core 1.3ghz, 13mp rear cam, 5mp front cam, android 4.4.2. I really wonder why microsoft's partners cannot offer similar specs for windows phone at the same price range (below 100$). For that kind of spec, $70 isn't the price, it is the worth. Probably because Chinese quality control is not that good, that's why. Also they spend close to nothing on marketting. And I may be speaking out of place, but I have a feeling that Microsoft phone will outlast "Cherrymobile". They're targeting emerging markets. There are plenty of other low-cost Windows phone devices that won't break the bank --- too many really. Big deal. I bought 2 Nokia 530( I think they were) windows phones for 29$ from Amazon . Using one to type this message. ...but in the USA it will sell for ..... not 70 dollars.....and probably a lot more. Why would I care if A Chinese citizen can get a phone for 70 dollars? Is this your target audience? Make that a Lumina 520, and 29$ each. The discontinued Nokia Lumias are getting dumped right now at low prices. I started using a Lumia 635, for $50, decided I like it well enough, and ordered three more for spares for the four of us on my cell acct. Microsoft themselves are selling the 635 online for $50. others are at Amazon and other places. If you can live with a $50 or $70 phone, you get some advantages: you don't get locked into any contract with your provider - you will eventually pay the $500 for that $1 iPhone; and you can save money by self-insuring by just buying a couple spares - which can always be sold off later at some loss, but better than a $10/month ins plan with a deductible. Hopefully, when I have to upgrade due to Win10, there will be some other phone on a big price cut as it gets phased out.